South Africa's leading batsman AB de Villiers has undergone a scan on his left thigh after picking up an injury during their World Cup win over India, a team spokesperson said. The right-handed player has been the most successful batsman for his country in the showpiece event and is currently placed third with 318 runs in the list of highest scorers. He has notched up two hundreds and a half-century from four matches. "He got a scan done on his thigh. I can't update the details till he gets the scan report," the South African team spokesperson said. De Villiers needed a runner during his 52-run knock against India on Saturday during South Africa's thrilling three-wicket win against the co-hosts. The 27-year-old has been in sensational form, hitting back-to-back centuries against West Indies and the Netherlands, but additional wicketkeeping workload has been taking a toll on his back. He handed over the wicketkeeping duties to Morne van Wyk in South Africa's last two matches -- against England and India -- to help his ailing back recover. 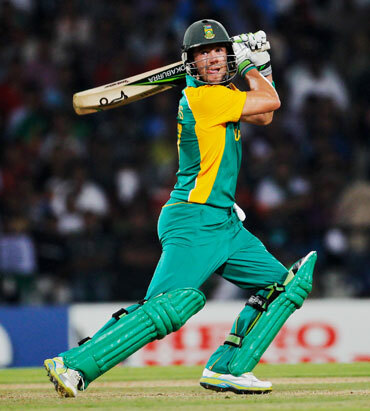 South Africa play their next Group B match against Ireland on Tuesday at the Eden Gardens. Business came to a standstill in the port city of Chittagong on Monday after a public holiday was declared to allow Bangladeshi fans to follow their team's World Cup match against Netherlands. 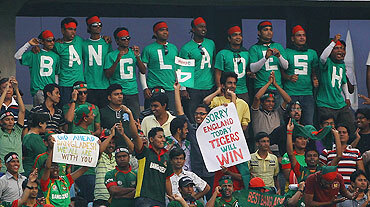 Instead of the usual hustle and bustle seen on the streets, roads were left virtually deserted as fans sat transfixed in front of their televisions and cheered on Shakib Al Hasan's men, who need to win the Group B match to boost their prospects of reaching the quarter-finals. "The holiday was announced so that the teams and officials can move freely in the streets to hold the World Cup match without any hindrance," a Chittagong city administration official said. "We support the decision to declare bank holidays on match days because we cannot concentrate in work when cricket is played and channels telecast it," businessman Kazi Ahsanuddin said.